Home » Cuisine » Popular Articles » Cupboard Love. Dry food for emergency meals. Cupboard Love. Dry food for emergency meals. There are times when you can’t go shopping; flu, floods, fire, snow, tiredness, heatwave, unexpected guests, or you just can’t be bothered! 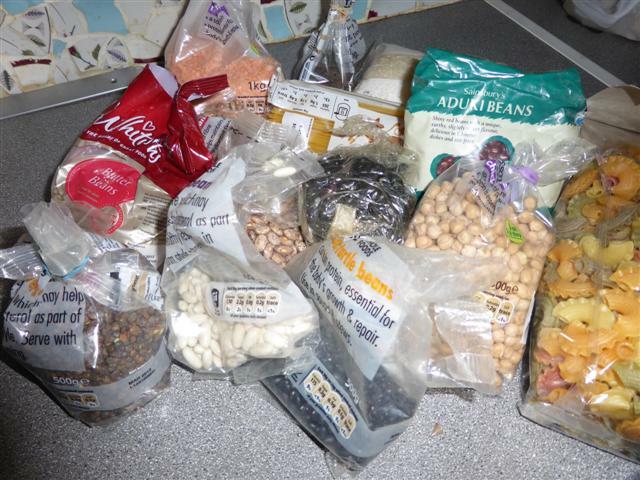 I always have a supply of dry food that I can use if I need to, eg pasta, rice, and a selection of beans and pulses. This time of the year the fruit and vegetables in our UK shops and supermarkets are mainly imported, and lacking in smell and flavour. There’s a lot that you can do with dry foods, and they’re full of goodness too. And of course, you can sprout all the pulses. Here is a small selection of recipes and suggestions for you. This is a Spanish dish, celebrating the Medieval victory over the Moors. It’s also very popular in Cuba. It’s not the sort of dish that you measure out. 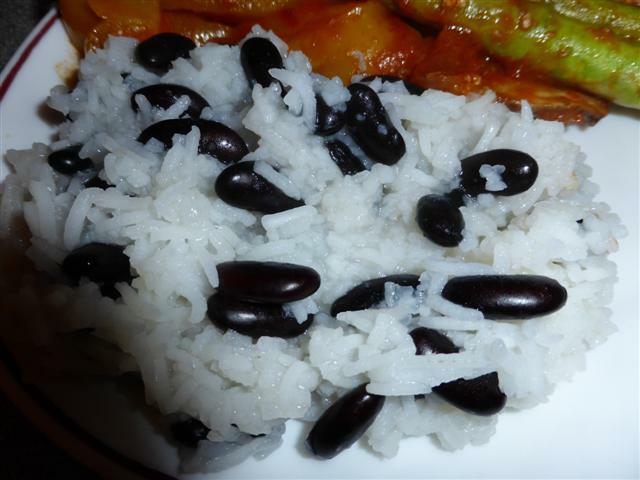 Use roughly a handful per person, plus an extra one for the rice. 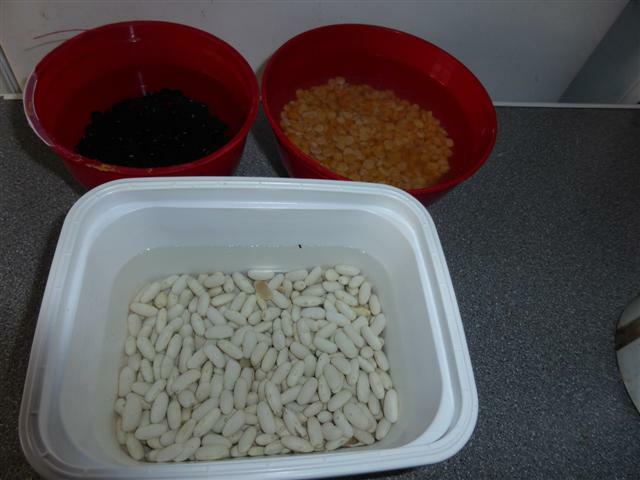 Soak the beans for several hours, or overnight. Then cook in boiling water until soft. Cook the rice separately. It will cook much quicker than the beans. Drain both saucepans and mix together. The black and white contrast is very attractive. You can also serve leftovers cold, mixed with vinaigrette in a salad. This is an old English rhyme. I can’t imagine eating it cold, but my cousin Ann in Durham, up North, had it in slices at her wedding. A bit like polenta, I suppose. The traditional way is to wrap it in a cloth and boil it. But it isn’t necessary. Some Split peas, soaked in water for 3-4 hours, or overnight. Simmer until soft and all the water has evaporated. Be careful not to burn it! Of course you will be, but we have to say stupid things like this nowadays! Turn off the heat and stir in a generous lump of butter and some seasoning. Now rapidly stir in an egg. Serve as a vegetable with boiled bacon, potatoes, cabbage, carrots and a tin of tomatoes. Or serve it with anything you fancy! 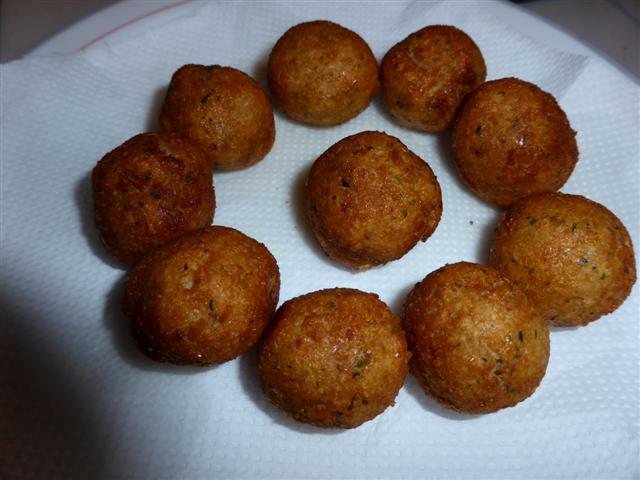 These are traditionally made out of chickpeas. But I didn’t have any, so I made them out of white beans, and I was very pleased with the results, and so was everyone else! They’re very easy to make, and they look good. Soak the beans for several hours, or overnight. Drain and whizz in a food processor. Yes that’s right. You do it without cooking them. Add a small shake of Coriander, Cayenne & Cumin, & the rest of the ingredients. Scrape it into a bowl. With your hands, roll the mixture into golf-ball-sized balls. Fry in hot vegetable oil until golden on all sides. Meanwhile, heat the pittas in the oven. Slice them open and put some salad inside each pocket. Add oil, vinegar & seasoning. 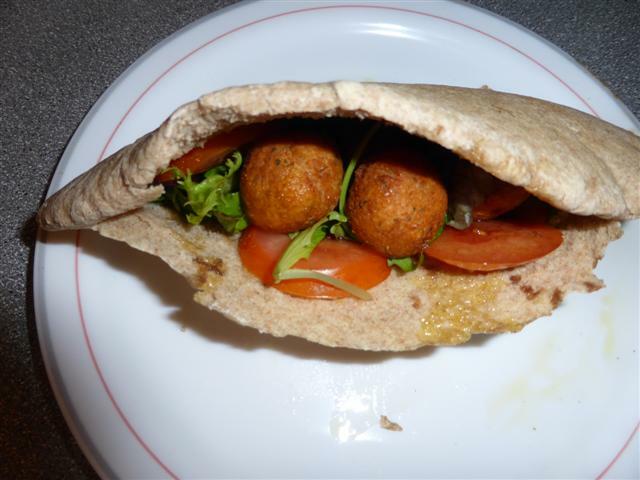 Place 3-4 falafel in each pitta pocket, & serve on a plate or wrapped in napkins. Or you can serve them as a snack. I can’t write this article without including Hummus. Extra ingredients to suit your taste. Soak the chickpeas. Cook in boiling water until soft. 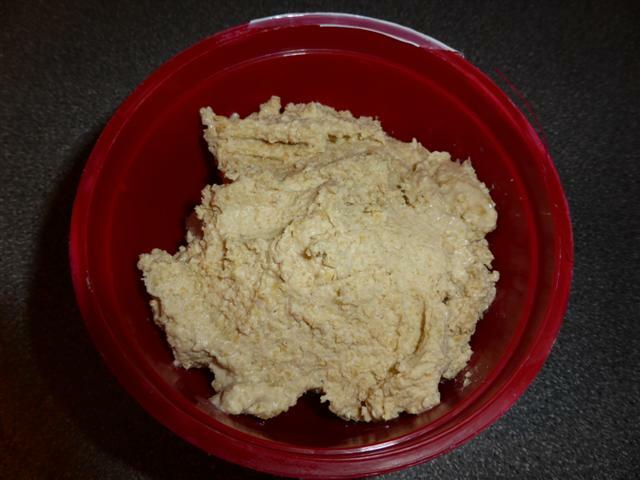 Blitz in a food processor and add all the other ingredients. I used lime juice instead of lemon juice. You could add parsley, a dash of curry powder, tomato puree or anything you fancy! I always have baked beans and tinned tomatoes in my cupboard. Here’s a very tasty standby recipe. Make your Spaghetti Bolognese as usual, but without the meat. Add a tin of sardines or pilchards instead. We seem to be stuck on Spag Bol in the UK, but there are hundreds of pasta recipes. 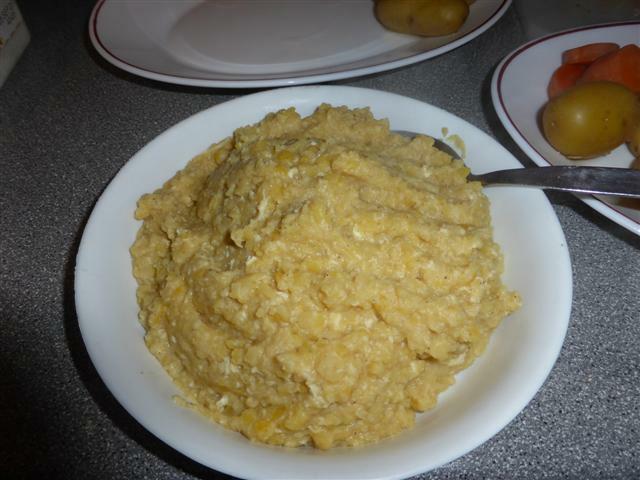 Polenta’s a useful base for many recipes, so is couscous. There are some tasty lentil recipes, and they’re very useful for padding out a soup. So are all the beans, the rice and the pasta. Flour is a Must. You can make some lovely pies and tarts with things in your cupboard. You can even turn your leftover spaghetti dish into a ‘pie’ with the addition of some beaten eggs. Give yourself a few days off from shopping. And you can save a lot of money too, while producing some delicious, nourishing meals! « Shelly Beach Snippets 5. February, 2014.